Set during the last few days of Ramadan, Omar Sabbagh’s novella is a unique retelling of the virtuoso project that is Dubai. In this bittersweet and hauntingly surreal tale, a couple finds the distance between them mirrored in a strange epidemic sweeping the globe. Set in China, the novella explores morality and corruption. Lindon, an Australian project manager, has to make the tough decision between right and wrong, love and war. 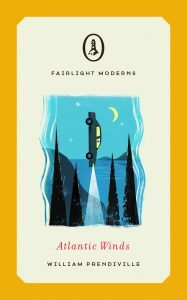 Set in 1970s communist Romania, Sophie van Llewyn’s novella-in-flash draws upon magic realism to weave a tale of everyday troubles, that can’t be put down. Set in the wild, beautiful and unreliable landscape of southern New Zealand, Emma Timpany’s novella is an evocative story of a woman coming to terms with her past. One day, during a school field trip, Pepper is kidnapped by a stranger and driven to rural Arkansas. The man, who calls himself ‘Uncle Dan’, claims that Pepper’s mother has died and they are to live together from now on – but the boy isn’t convinced. Nicholas Anderton is a highly respected neurosurgeon at the top of his field. But behind the successful façade all is not well. Tormented by a toxic marriage and haunted by past mistakes, Anderton has been eating to forget. His wife, meanwhile, has turned to drink.